In a turn widely lauded by online privacy advocates, last April Facebook-owned WhatsApp announced it had implemented end-to-end encryption for all communication that goes through its platform, making it impossible for middlemen to intercept messages. As it turns out though, new findings suggest your conversations might not be as secure as you think. The Guardian reports security researcher Tobias Boelter from the University of California, Berkeley has discovered a backdoor in WhatsApp that leaves your private communication vulnerable to interceptions from third parties like Facebook and the authorities. “If WhatsApp is asked by a government agency to disclose its messaging records, it can effectively grant access due to the change in keys,” the cryptography expert said. 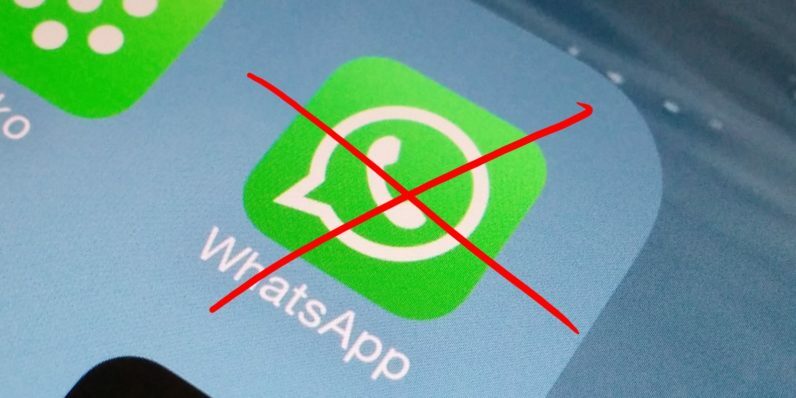 While WhatsApp uses the watertight Signal protocol to generate unique security keys for its end-to-end encryption, the messaging service has built an additional implementation that allows to force the generation of new encryption keys for offline users, leaving certain messages open to attacks. Once WhatsApp forces an update to the security keys, all undelivered messages are then automatically re-encrypted and sent again with the new keys without the knowledge or consent of the sender, effectively allowing the company hijack the updated encryption keys and read the communication. The flaw is not inherent to the Signal protocol and essentially revolves around the users’ inability to block messages from being sent when changes in the encryption keys have been detected. Instead, WhatsApp proceeds to automatically resend undelivered messages without notifying either the sender or the recipient. Although the Facebook-owned messaging service has a feature that will send notifications anytime a change in security codes occurs, users still have no way of stopping undelivered messages from being sent unprotected. Boelter initially reported the vulnerability to Facebook back in April last year, but was later informed the issue was “expected behavior” and not strictly a bug. The security researcher has detailed the backdoor in a post on his personal blog and also presented the flaw at an encryption conference held earlier in December. You can watch the presentation here at around minute 48 of the video. While serious, the issue is not entirely new. In fact, the Electric Frontier Foundation warned against this danger in a post published in October. It is also important to note that the vulnerability does not directly put the privacy of your messages at risk of being stolen by general attackers, but rather leaves an opening for Facebook and WhatsApp to read your conversations. Still, this news certainly comes as a disappointing development given that Facebook boasted its boosted encryption methods as the main selling point for WhatsApp. Over one billion people use WhatsApp today because it is simple, fast, reliable and secure. At WhatsApp, we’ve always believed that people’s conversations should be secure and private. Last year, we gave all our users a better level of security by making every message, photo, video, file and call end-to-end encrypted by default. In any case, let this be a lesson that no matter how well protected, no method is entirely immune to unexpected breaches and interceptions – even when you’re being told so. The Guardian posted a story this morning claiming that an intentional design decision in WhatsApp that prevents people from losing millions of messages is a “backdoor” allowing governments to force WhatsApp to decrypt message streams.This claim is false. WhatsApp does not give governments a “backdoor” into its systems and would fight any government request to create a backdoor. The design decision referenced in the Guardian story prevents millions of messages from being lost, and WhatsApp offers people security notifications to alert them to potential security risks. WhatsApp published a technical white paper on its encryption design, and has been transparent about the government requests it receives, publishing data about those requests in the Facebook Government Requests Report.